If you’re stuck on what flowers to choose for your big day, then here are 15 ideas to suit every taste and budget. A good wedding becomes a great wedding thanks to those all-important finishing touches. Flowers are one of those, and the degree to which they can transform your wedding just cannot be underestimated. So if you’re feeling a little stuck for inspiration, then take a look through some of our 15 favourite flower ideas. From bouquets to backdrops, you’ll fall in love with our floral inspirations for your 2018 wedding. A great way to mix up your floral arrangements is to add fruit into the mix. Grapes add real volume and shape to your table arrangements, and their soft green or rich purple-red hues compliment so many flowers. Your displays will look good enough to eat! Floor to ceiling floral backdrops make for great photos. 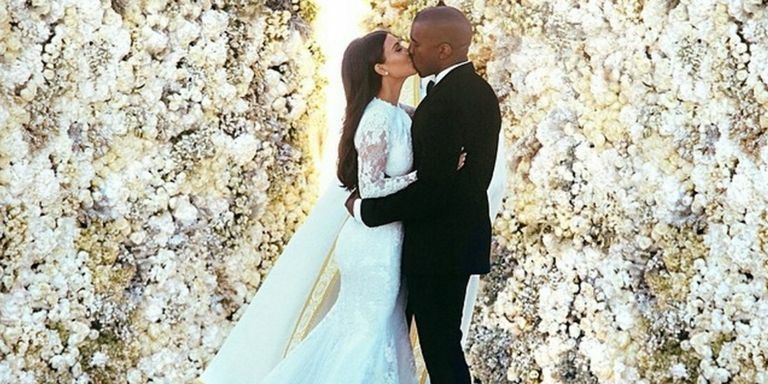 Remember Kim Kardashian’s dreamy wedding pictures taken in front of a wall of roses? Well you could emulate that, although maybe on not such an extravagant scale. Work with your florist to create a backdrop that looks full and natural – and that brings out the best in your outfits! If you’re traditional at heart, then pay close attention to the language of flowers. The Victorians were big fans of this, and crafted bouquets that had really deep meanings for their loved ones. Take a look at the meanings behind different flowers, and maybe ask your partner to pick ones to include in your bouquet. Flowers hanging from light fittings are a great way of creating a really romantic look. To make sure that your light fittings will last the night, include some floral wreaths for added structure. Or if you want a delicate look, a few upside-down stems will look lovely too. Dried flower bouquets are in at the moment. We’re all becoming more financially conscious, and dried flowers are great for that. You’ll be able to re-use your bouquets after your wedding day for a floral display in your home, and as they’re a lot more hardy than fresh flowers you’ll get much more for your money on your big day, whatever the weather. You’ve heard of a tiered wedding cake, but how about a tiered flower display? All you need is three nesting bowls packed with wet floral foam stacked on top of each other, and then the flowers of your choice. Make sure that you take the time to fill in all the gaps, so that your beautiful centrepiece looks as full and opulent as possible. Ombre is one of the hottest fashion trends at the moment, so why not introduce it to one of your floral displays? An ombre piece means that you can include lots of different shades, graduating down from bold hues to pastels. We think it works particularly well for floral runners. If you want to treat your guests to some unique favours, then why not gift them all with a miniature potted plant to take home? Not only will they look beautiful on the tables, but the sentiment behind them is undeniable. 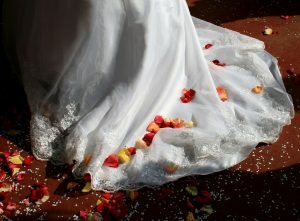 The flowers will continue to flourish after the big day, just like the relationships you all came together to celebrate. Roses are the flowers of love, and while they are a more traditional favourite there’s no reason why you shouldn’t choose them. They look wonderful paired with wildflowers, luscious with lilies, and darling with dahlias. If you want to keep it classic, there’s no better flower to use as the foundation of your bouquet and displays. Giving the members of your bridal party matching flower garlands to wear is a lovely touch. They could wear them in their hair (having the garland fuller at the back is a much more understated look and fits in with most formal hairstyles), or wear them around their necks. Opt for the same flowers as in your bouquet for maximum impact. Floral borders along the aisle will make you feel as if you are getting married in a magical fairytale land. Use wooden flower frames on each side of the aisle to give your floral runners some structure, and then fill them with your favourite blooms. Posies are great, as are daisies and carnations. Remember, you’re going for a rustic rather than super-neat look. 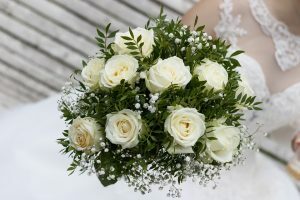 White is the colour of weddings, and opting for an all-white theme for your flowers is a really stylish option. A variety of blooms in a uniform white shade makes for an effortlessly elegant bouquet, and white table centrepieces look lovely under the warm lights in our stunning Baronial Hall. Simple it may be, but sometimes that’s the best way to do it. Extra long bouquets are making a comeback, and that’s a great thing if you ask us! Cascading bouquets look so dramatic, and the addition of plants like ivy really gives them an old-school glamour. If you have a simple dress, then a bouquet with some length will be a great contrast. Oh, who are we kidding – they look great all the time! Strictly speaking, scattered petals on the tables may not be flower arrangements, but we’re going to include them here. You can buy freeze dried rose petals for next to nothing, and they come in almost every conceivable colour. You can have them scattered all over the table, around an existing floral centrepiece or floating in bowls of water with some tea lights. These little things are so, so versatile, and really easy on your wallet too. Last but not least are wildflowers. More and more brides are opting for these, and it’s not hard to see why. They evoke the timeless class and elegance of an English garden – perhaps you’ll even grow your own! If you’re going for a rustic, relaxed theme for your big day, some wildflower arrangements that don’t look ‘too’ put together are the perfect finishing touch. 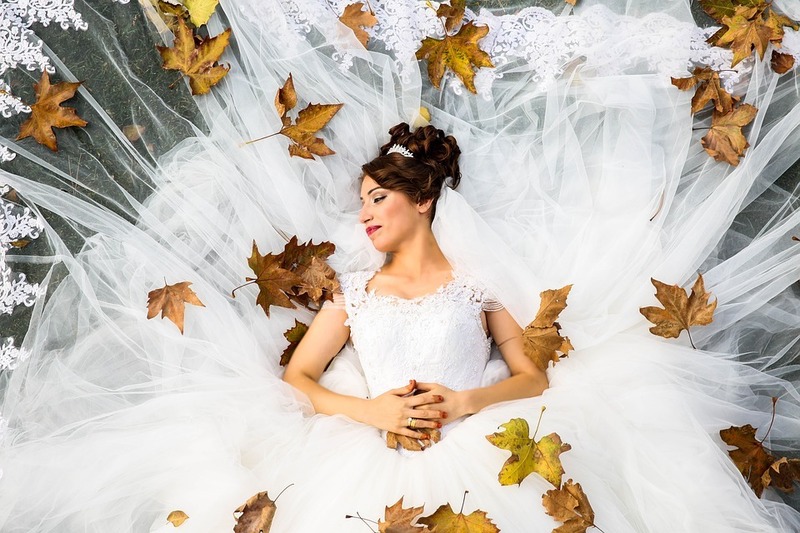 What will you choose for your big day? We hope that you’ve found plenty of inspiration for your wedding day flowers! As the best wedding venues in Essex, we’re pretty qualified when it comes to all things floral. 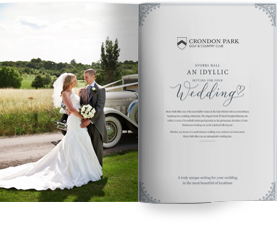 Remember, if you do decide to have your special day here at Crondon Park, we’ll be on hand to make all of your visions come to life, including your flower arrangements. After all, what’s a wedding without some beautiful blooms?